It’s time for the yearly list of guitarists to watch for 2019. Who’ll have a breakout year in 2019? In no particular order are guitarists that should have a successful 2019. We’ve all been waiting for new music from Sykes which seems like a lifetime. I do believe we’re going to his Sy-Ops album be released. The Les Paul axeman can’t afford to keep his fanbase anticipating new music much longer. VinMan has been working on some new music this year. Expect to see a Pledge or similar campaign to help fund his new record. Vin is one of the best out there and maybe we’ll hear more Minds Eye type music this time around? The shred master has just released his latest album, The Nature of the Beast. Impellitteri recently said that there’s a good chance they’ll be touring the US starting in August of 2019. 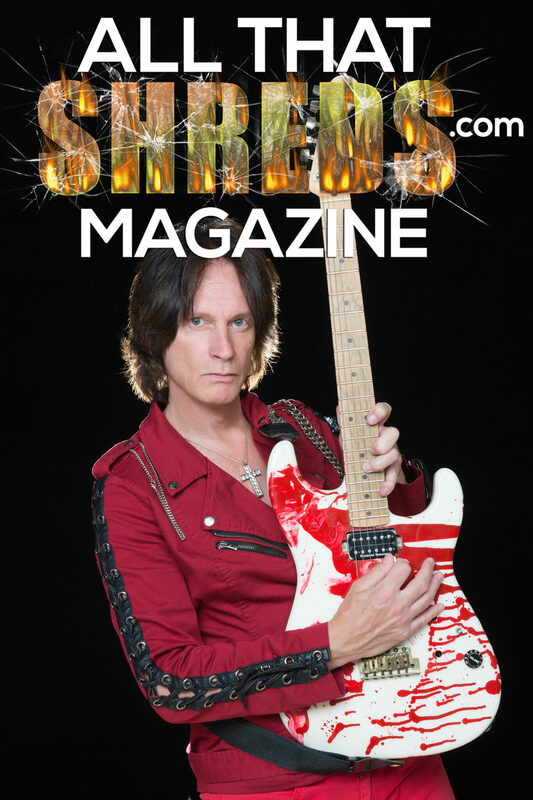 The American guitar magazines have virtually ignored Impellitteri for unknown reasons was recently highlighted in the holiday issue of Guitar World. The Iron Maidens CCSHRED has taken the month of December off from the Maidens tour to concentrate on recording her EP. Courtney possesses a fantastic talent, and this album will show her skills as both a guitarist and a musician. The Burning Witches guitarist might not be a household name among the metal faithful, but I strongly encourage you to pick up Burning Witches new album on Nuclear Blast Records. A recent addition to the Jackson Guitar Endorsement family, Romana shreds! The Symphony X master shredder released his first solo album in 24 years back in July. Part 2 is supposed to be released in 2019. I predict Romeo will eventually have to do some tour dates in support of his new album as he’s a highly regarded guitarist and the demand will be there. Although I think Red Dragon Cartels recent album release, Patina, is a snorefest, Jake and the Cartel have a US tour planned for 2019 with select dates while missing big cities. Hopefully, the Cartel will catch on with a big tour. The Dead Daisies guitarist has multiple projects happening for 2019. Burning Rain has an album coming out in the spring. Look for Doug to team up with his Revolution Saints counterparts to record their third album in 2019. The Motley Crue guitarist has been working on a solo record for a while. Mick said he’s worked with John Corabi on the part of this record which I think is fantastic seeing the Motley 94 album showcased Mick’s best guitar playing. Mick has said don’t expect his record to sound anything like a Crue record. Lita has been working on an album teaming up with Gary Hoey again. Lita hasn’t said much recently about when it’s supposed to be released. Lita is continuously touring, she puts on a killer show, and hopefully, we’ll hear a heavier sound on her new release.